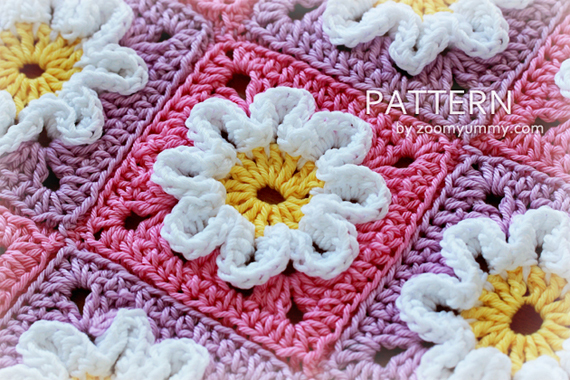 This is a crochet PDF PATTERN for ‘Crochet 3D Flower Baby Blanket’. Following the success of your favorite Crochet 3D Flower Purse, here comes another interesting 3D project for you to enjoy. The blanket that you can create with this pattern measures about 35 x 29 inches (89 x 74 cm). The pattern that you will receive is very detailed. It comes with a 26-page easy to follow written instructions and photo tutorial. The photo tutorial contains 69 helpful pictures to make the project as easy to follow as possible.